In the last decade English has officially become an international language, as it is the second most widely spoken language worldwide when considering both native and non-native speakers. 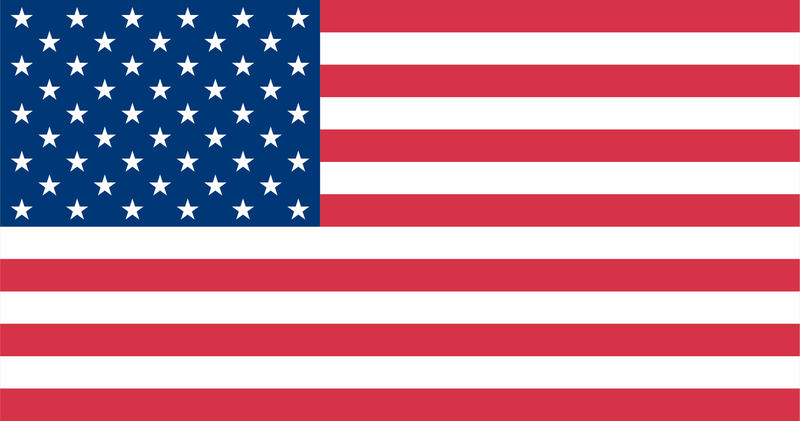 As a result, many people are seeking ways to improve their English skills. 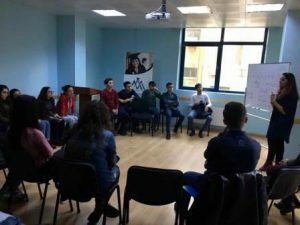 FLEX alumni in Azerbaijan are acknowledging this interest and organizing free-of-cost conversation clubs, many times a week, for members of their communities. 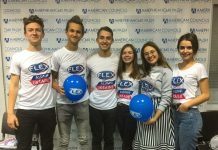 Though FLEX alumni conversation clubs have been occurring regularly in Azerbaijan for over eight years, the clubs in Azerbaijan have expanded to two new locations in the last few months. Kamran Latifov ’12 (Baku, Azerbaijan/Pasco, WA) has been hosting a conversation club in Azerbaijan for the last three years. 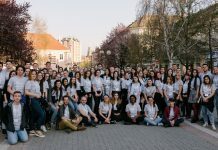 He initially started the club as a free time activity for his friends and school community, but interest in the club has been constantly increasing. The club usually starts with a warm-up activity and is followed by friendly discussions of various themes. 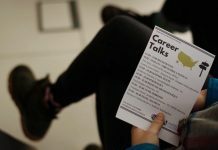 Though Kamran is a Sailor by profession and not on shore every month, Competitive College Club alumna and American Councils volunteer Aysha Qadirova serves as a host in order to keep the Conversation Club open every Saturday. 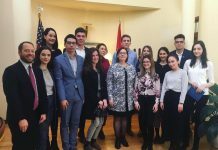 As soon as they returned from their exchange year in the U.S., FLEX alumni Javidan Alayi ’17 (Baku, Azerbaijan/Visalia, CA) and Javid Ibrahimov ’17 (Khirdalan, Azerbaijan/Oswego, NY) decided to apply their newly acquired skills and knowledge toward a project that would benefit their community; thus they started “JJ’s Conversation Club”. They intended for this club to serve those with pre-intermediate to intermediate levels of English. Through practice, however, the members of JJ’s Conversation Club have improved to intermediate and advanced levels. The third conversation club initiative came from FLEX alumna Tinatin Hasanova ’17 (Ganja, Azerbaijan/Burleson, TX). Almost as soon as she settled in at her local university , she decided to help her peers to improve their English. 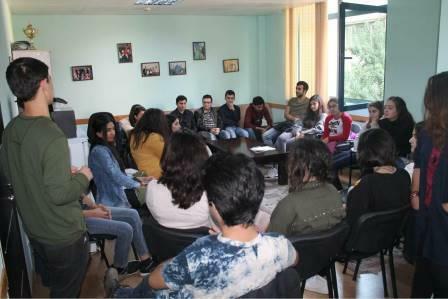 With the help of Alumni Coordinator Amina Teymurova ’13 (Zardab, Azerbaijan/Mattawan, MI), “Tinka’s Conversation Club” officially started on October 27. This conversation club is held every Friday at the American Councils Office in Baku, Azerbaijan. All conversation clubs are open to public and there’s no age limit to join. People between the ages of 14 and 40 participate in the clubs. It’s never too early or too late to learn a new language.